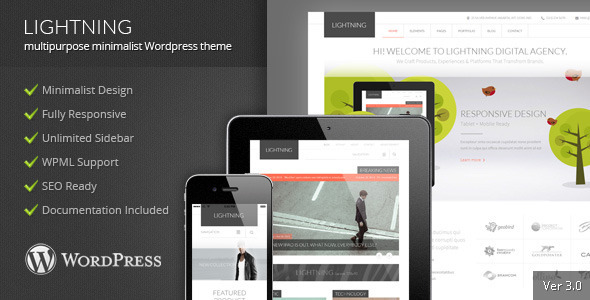 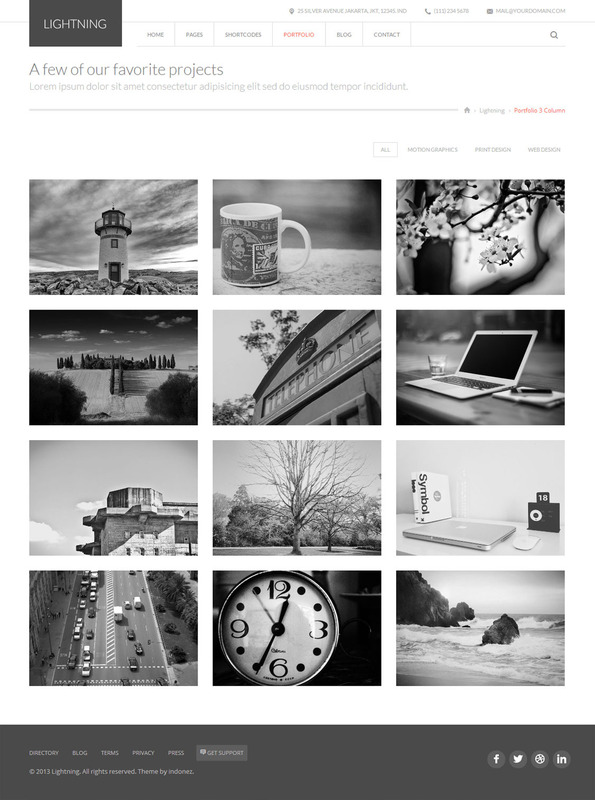 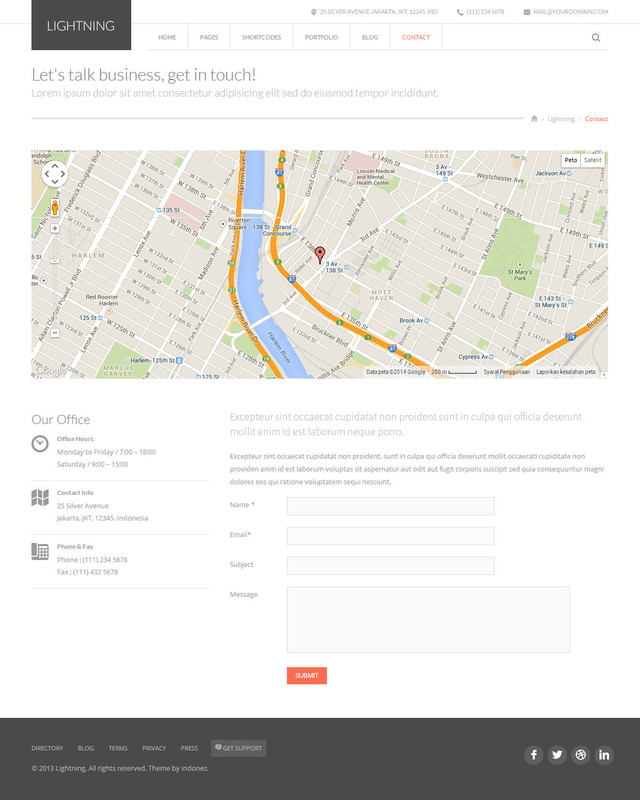 Lightning is Minimal Wordpress Theme with Multipurpose design. 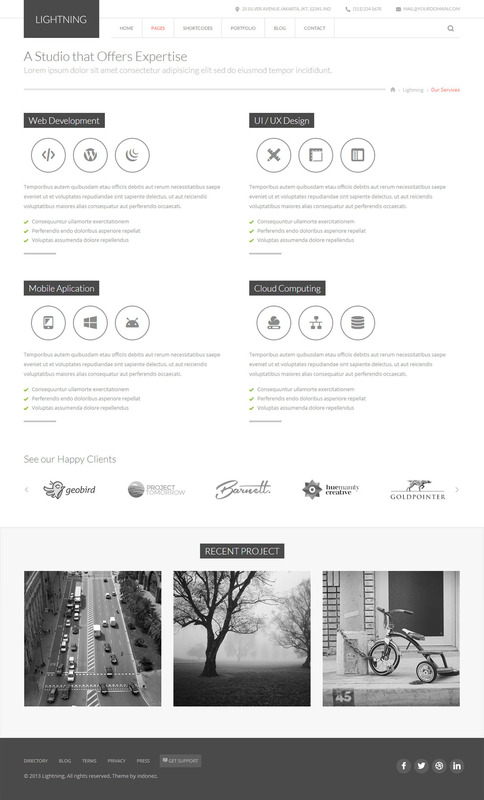 This template can be used for any type of website like: Magazine, Portfolio, Bloging, Marketing etc. 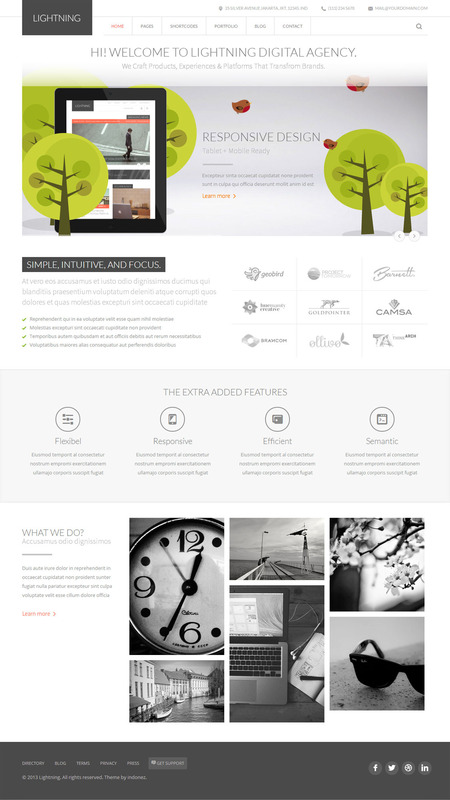 Our template makes it special is focus on details the highest quality code and you can get layered PSD Files Comes with many feature you got boxed layouts, there are five different home layouts. 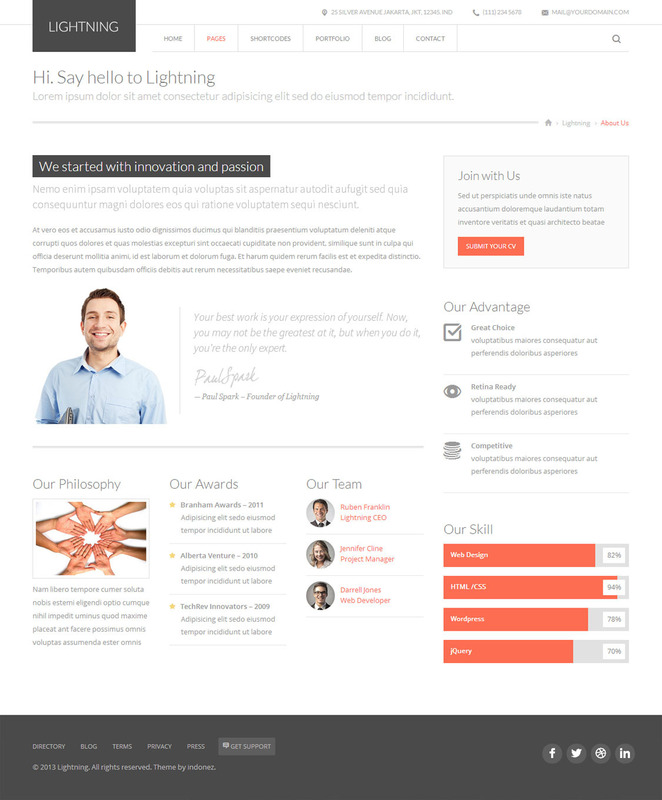 With New Features of Wordpress 3.9.x & 4.x, Lightning has been coded to improve capability of the Wordpresss 3.9.x & 4.x features.